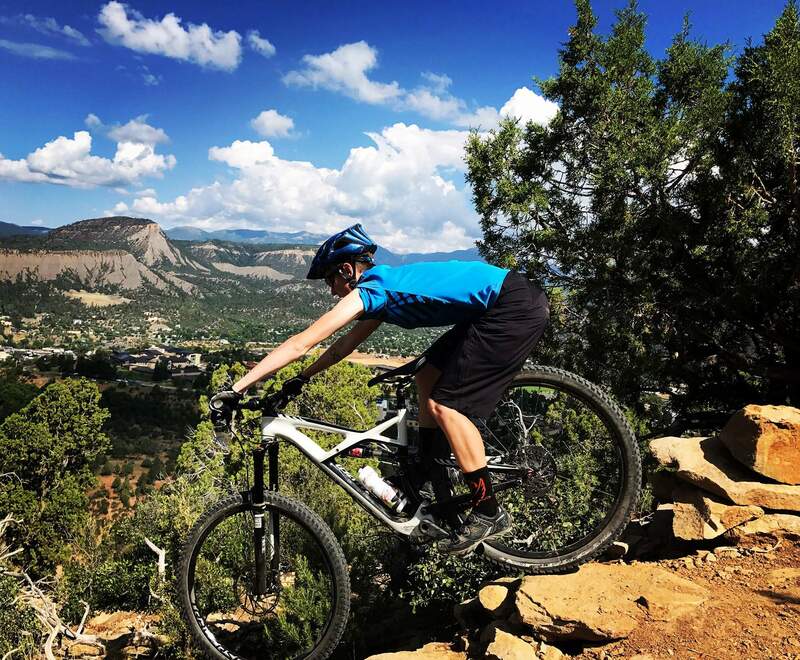 Local mountain bike racer Darian Harvey says preparing to ride the Iron Horse Bicycle Classic is a whole different animal than racing on trails. Many of us will be sitting in shaded comfort at the Silverton finish line festival beer garden this weekend. Raising a pint takes little training. The racers, on the other hand, have spent months toning their muscles and building their endurance for the intense 47-mile journey to Silverton for the Iron Horse Bicycle Classic. They all prepare in different ways to meet specific goals according to their strengths, weaknesses and body types. Jens Nielsen has been racing bikes on the trails and on the road for over 20 years. The Denmark-born-and-raised former pro said he’s an amateur racer “in his senior years,” but he’s still a competitor. The 46-year-old won the race in his age group last year and placed second in 2016. He hopes to finish in the top three this year. To do so, Nielsen’s been training since the beginning of the year. “Getting older, it is important to work on strength training, so throughout the winter I do a four-month program,” he said. The key for Nielsen, who is 6-foot-6, to do well in the race is to keep his weight down and muscle mass up. After decades of racing bikes, some aspects of the sport no longer require serious preparation. 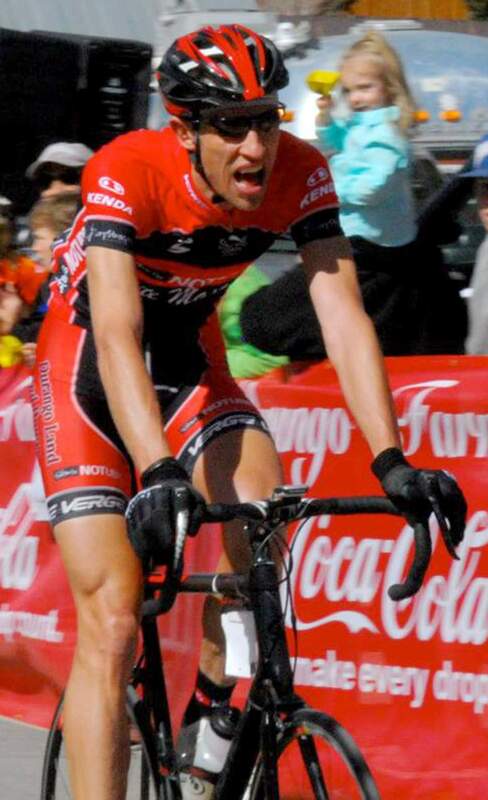 Jens Nielsen has been a bike racer for more than 20 years. Nielsen said when he was younger he just rode his bike as exercise, but now he will do functional strength training (exercises that mimic the specific task for which one is training) a couple of times per week. Now, he thinks every rider should participate in strength training regardless of age. “Cycling is such a quad/hamstring/calf-dominated sport, that a lot of people tend to neglect their core, back, shoulders and arms. You’ll get all these weird pains,” he said. That’s the mistake downhill mountain bike racer Darian Harvey made her first race in 2017. When your core gives out, all the weight is put on the saddle, causing extreme discomfort. Unlike Nielsen, Harvey has to build her endurance. The style of training she was used to as a downhill mountain bike racer is completely different than preparing for the Iron Horse. “Downhill racing was very anaerobic – short sprints, trying to generate a lot of power and a lot of balance work. ...The road bike, it’s the opposite to some extent. It’s trying to see how long you can ride for as fast as you can,” Harvey said. She is very structured in her training, and to prepare for the long distance, Harvey rode her road bike as much as she could. “I’m kind of OCD, so I have a plan for everything,” she said. She started preparing on the trainer in the winter and would gradually increase her duration. She was able to do bigger miles, around 40 to 50, on her bike earlier this year because of the warm winter. More recently, she focused on uphill ascents by riding the passes. Caroline Eastburn is a retired racer who teaches a 17-week Iron Horse training program at the Durango Community Recreation Center where students learn everything from proper clothing and bike maintenance to climbing and mental focus. She said the climbs are where most students struggle. Climbing is where Nielsen shines. Harvey said her strength is her mental toughness. Eastburn said the pain is something many new riders are not prepared for. “Learning how to ride with sustained discomfort or pain, learning how to carry that through on the big passes is something that some of the newcomers might be a little alarmed by,” Eastburn said. Another component that is important for newbies is learning to ride with large groups. Getting closer to race, all the athletes back off their training so their bodies are refreshed for the big day. Harvey, who normally eats a paleo-influenced diet, will load up on carbs before the race to build her glycogen stores, which function as the body’s long-term energy reserve. Eastburn encourages her students to find a diet that works for them early on in the program and urges them to stick to it.